Hi guys! I finally put together all the entries from the Luview giveaway and have drawn via random.org two winners! 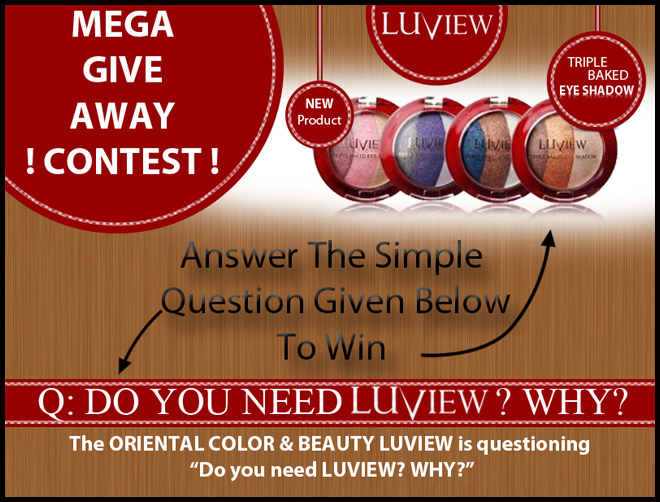 The winners will receive 1 set of 4 Triple Baked Eyeshadows each. I will be sending out an email to the winners as soon as this post is published, and you have 24 hours to contact me before I draw a new winner in your place. Thank you to everyone else who participated and subscribed - your support means a lot to me! Look out for a couple of exciting giveaways coming to you next week!